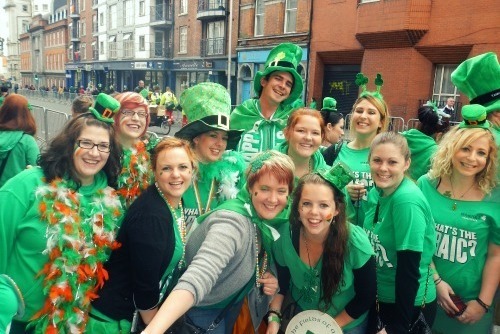 Saint Patrick’s festival takes place in Dublin every year, featuring the famous and fabulous St Patrick’s Day parade. It’s one of Europe’s most famous parties, and as the European festival travel experts it makes sense that we’d get involved. 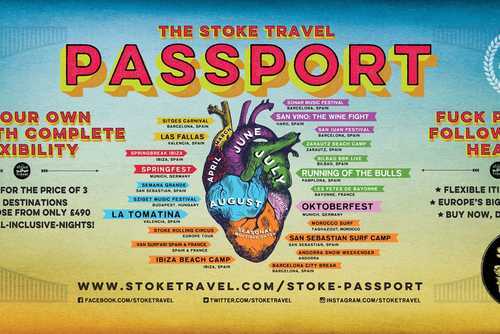 Stoke Travel is going to make sure that every waking minute of the trip is some kind of celebration, with our festival within a festival style of party travel. 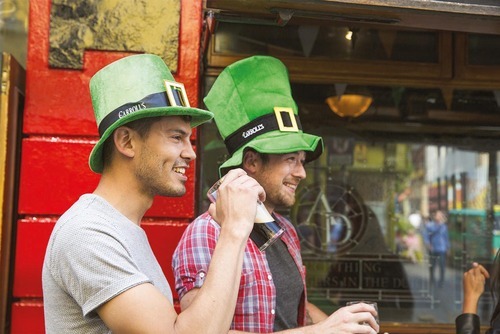 Celebrate St Patrick's day the real way in Ireland with Guinness, Guinness and oh more Guinness! 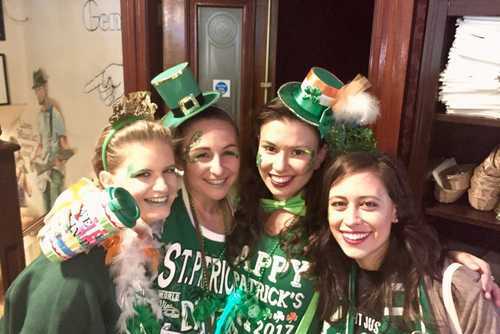 It is a celebration of all things Irish, or music and art and food and of course throwing your arm around a stranger and belting out a drunken song or 50. Here you’ll fiddle with Irish beauties, jig your day away with someone called Paddy, drink too much whisky and write emotional poetry, etc. 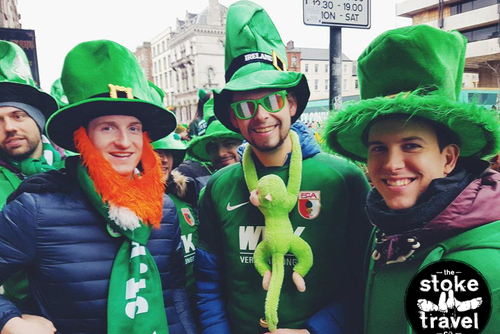 You’ll also just get down to the serious and splendid business of partying in the streets and bars, enjoying the Irish hospitality on their biggest day of the year and bearing witness as this creative nation shows you the best it has to offer. 15 March: Arrie in Kilkenny. Your guide will be at the hostel waiting for you. 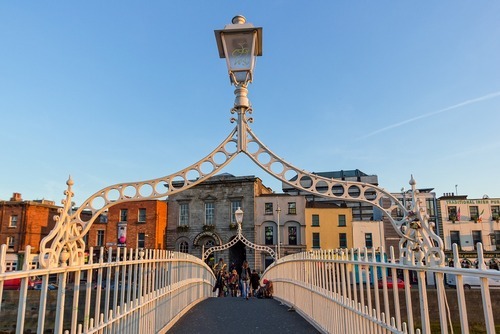 We'll check out some bars tonight on a welcome pub crawl if you choose and check out the best of what Kilkenny has to offer. 16 March: Refuel for breakfast and take some free time this morning to explore the city. This afternoon we'll meet for a late lunch/early dinner at the oldest tavern in Kilkenny with complementary Guiness and Irish liquor. 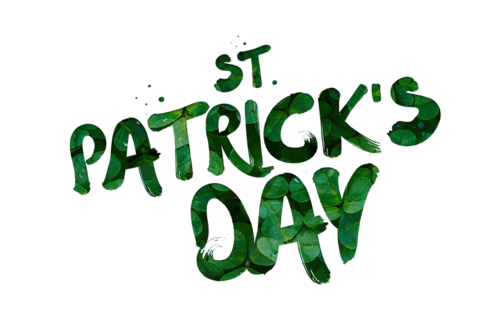 17 March: Today's the day: St Patrick's Day! 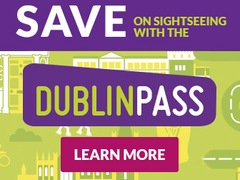 We'll wake up early for a hearty breakfast before jumping on the private bus to Dublin and claiming a prime spot for the famous parade. 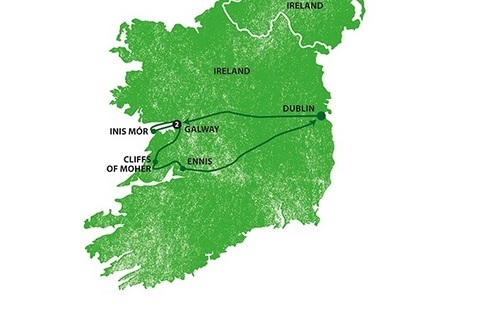 We'll check out some pubs, down some Guiness before jumping on the bus and carrying on the party in Kilkenny. 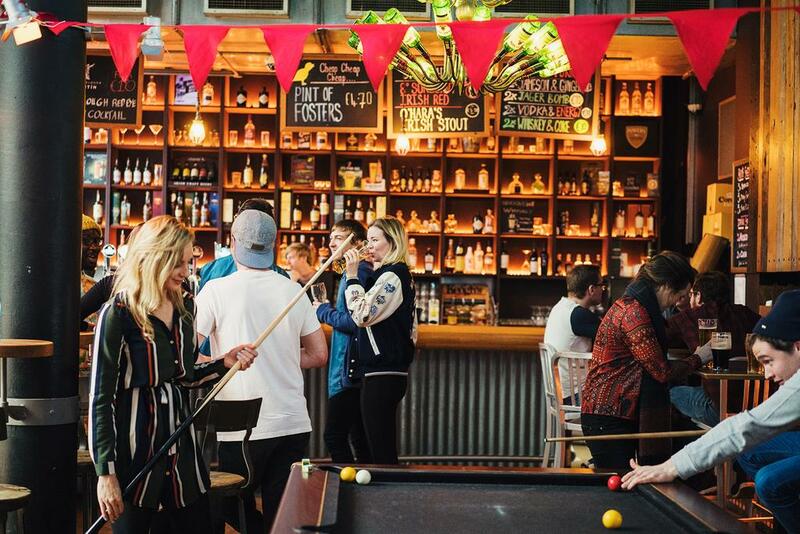 We we'll experience some authentic Paddy's Day celebrations in our favourite bars in town and taking some of the local St Patrick's day Music festival. 18 March: We should have well and truly excelled ourselves at partying Irish-style and we could possibly be broken. We'll struggle our way through goodbyes, but not before we've swapped Facebooks and photos and planned our next trip with Stoke Travel!